This was last night’s meal. 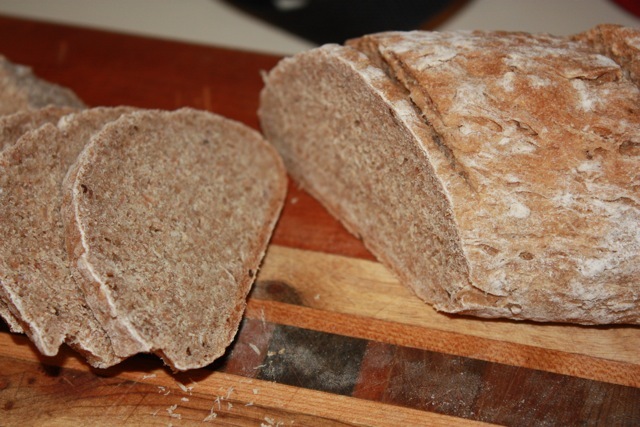 We make the Mostly Whole Wheat Baguettes from TFMCB Sunday night. 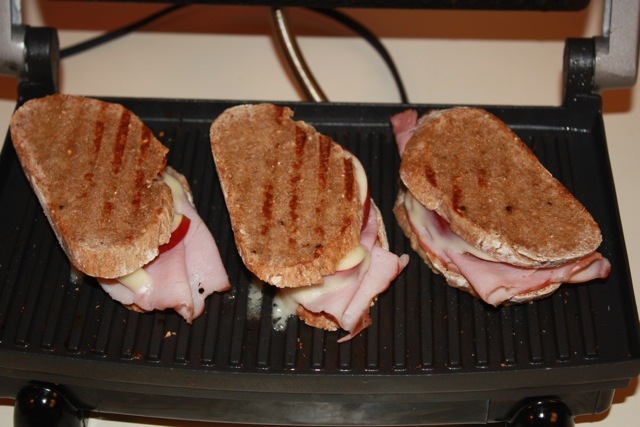 It ended up being a bit on the heavy side, but still worked alright for the paninis. Based on a sandwich that we love from a local restaurant, we put sliced apples, brie and ham in them! 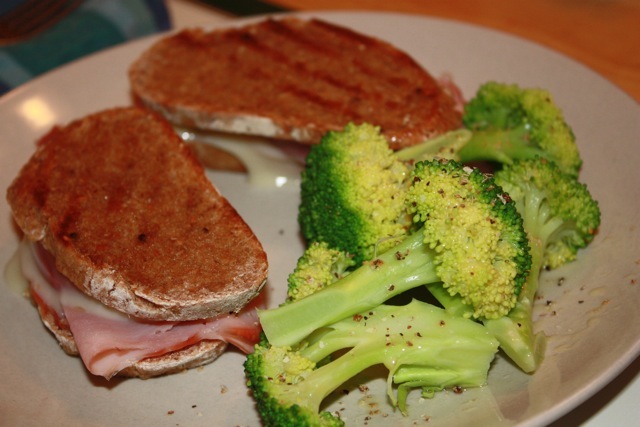 The brie melts and starts drippi ng out the sides, the apples add a bit of sweetness…a great combination! Add in some broccoli for veggies and it was a really nice meal. Lunch leftovers were a treat too!